Thoughts in a Haystack: You Too! And Happy Birthday to Mr. Lincoln, as well, of course. 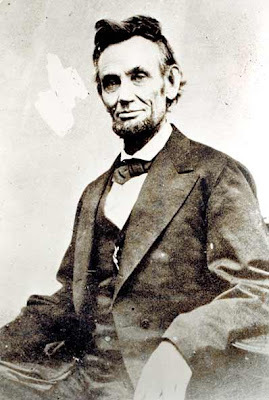 There is a nice post from last year by Larry Arnhart, author of Darwinian Conservatism, about Lincoln and his views on religion and evolution. Professor Arnhart has a new post up on Darwin's views on racism and slavery and how they compared to Lincoln's also.